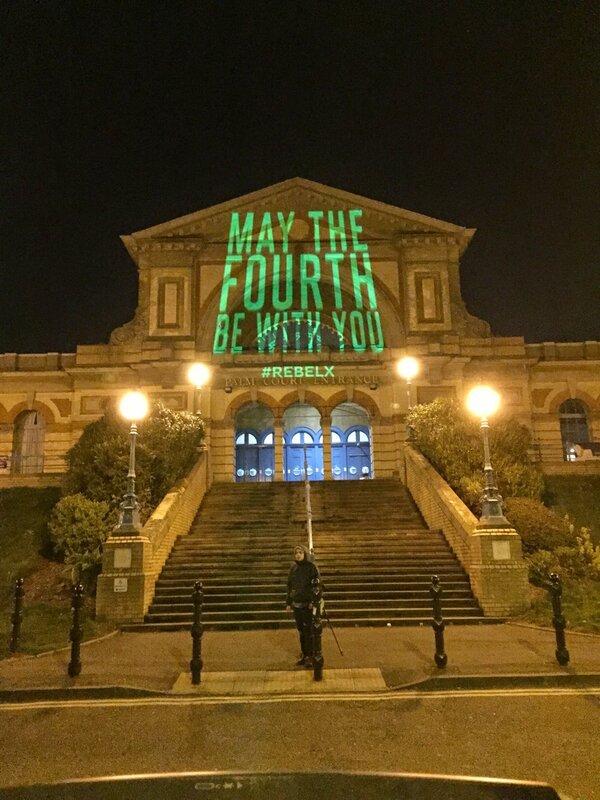 Projection Advertising gets your message across in the most unconventional outdoor locations you can think of. 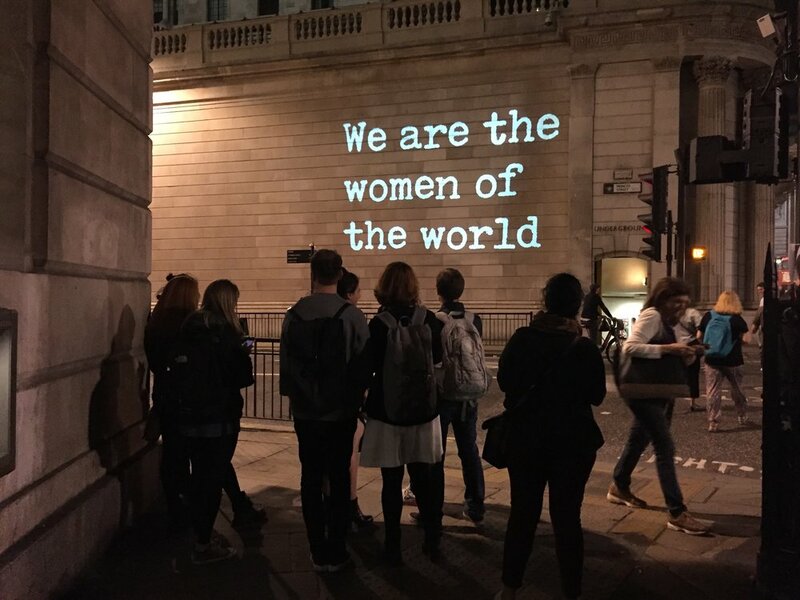 We use very powerful projectors to project images, words, or video onto a buildings in cities across the UK in locations and times that people do not expect. People stop in the street to ask questions and take photographs. Want to advertise in a particular location where there are no billboards? Guerilla projection advertising is just the thing. We have state-of-the-art, custom made projection system, operated by our experienced in-house team. We always carefully research new sites to ensure you get the best possible result. This is a cutting edge technology which enables us to turn any objects, even if they are irregularly shaped, into a display surface for video projection.This technique is used by artists and advertisers alike who can add extra dimensions, optical illusions, and notions of movement onto previously static objects. If you are running an event that requires a screen, how about a pop-up cinema? Whether it's a beach or in a field, we can help you share the magic of the silver screen with your audience. We delivered a campaign for the musician PlanB to celebrate the release of "Ill Manors" using guerilla projections throughout London. Fans sent us their tweets and we filmed a graffiti artist writing them as street tags. This footage was then projected onto a number of buildings including the Houses of Parliament and the National Gallery. Check out the video below. We can project images and video onto buildings where your target audience will see them. Let us know what you have in mind. We love to collaborate with you to come up with something unique for your campaign. If you wish to create your own assets we can share some guidelines for best practice, or alternatively we offer additional services including video production and photography. We also offer mobile PA sound system to accompany video projection. Research and briefing. We brief our team on the project including locations and research each site to ensure quality control. We can also advise on finding the right type of building and location that will maximise impact. Maximise exposure. We can offer pre-Campaign online seeding to generate hype. See the campaign live and play back. We can record a 2-min video for you to share online. If you are thinking about projections for your next campaign, please email get in touch to discuss your idea with one of our team.